Free Bitcoin Miner 2018 is an amazing application and easy to use to get Bitcoin from your phone. Earn free Bitcoin simply by trying open the app and start mining or watching a short video! 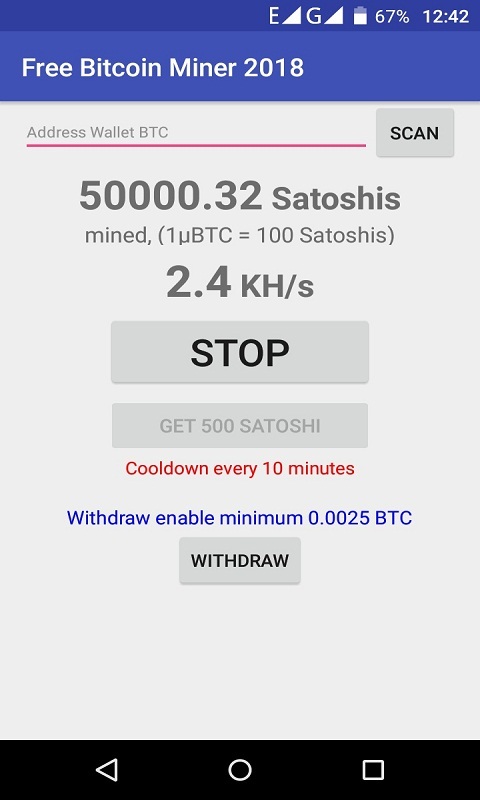 Every 10 Minutes you can earn 500 satoshi using Bitcoin Miner Robot.Simply open the app, engage, then collect your free Bitcoin! 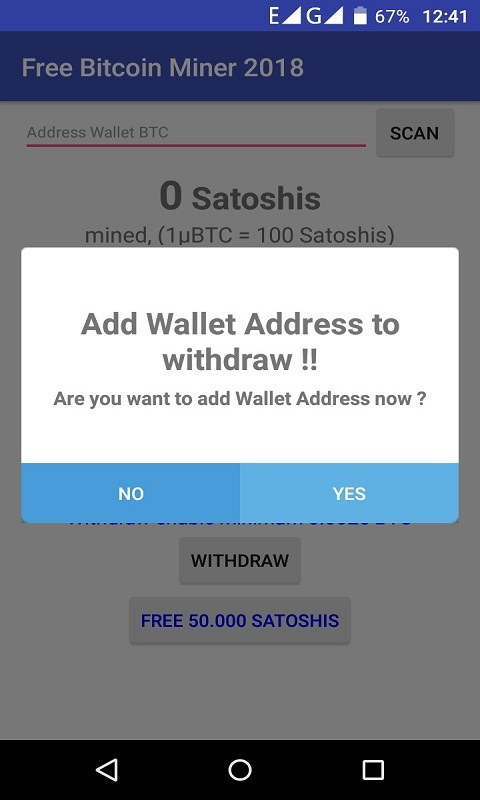 Minimum withdrawal limit is super low so you can receive your free bitcoin to your wallet and keep it to invest, save, or use however you want. 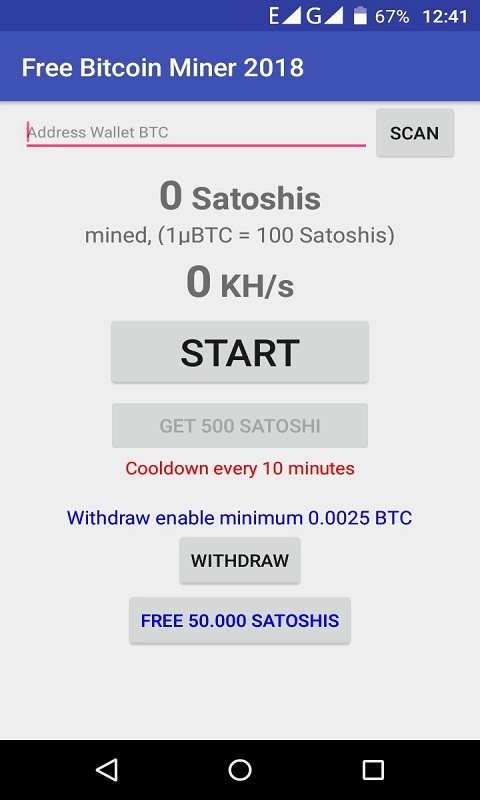 Note: This app uses the unit Satoshi, the smallest unit of Bitcoin, instead of Bitcoins.